Found 5 file extension associations related to MidiCo and 1 file format developed specifically for use with MidiCo. 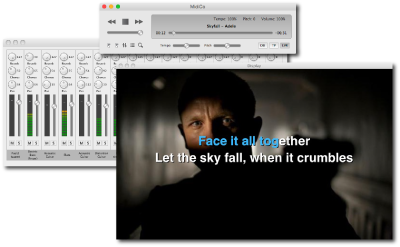 MidiCo is simple, powerfull and intuitive Karaoke software. Organize and play the most popular karaoke file formats including: MDC (MidiCo File Format), MID, KAR, MP3 (SYLT-LYR), CDG, CDG Zipped and Karaoke Movie. If you need more information please contact the developers of MidiCo (Gianrocco Giaquinta), or check out their product website.